It has been extremely hot these days in Japan anywhere. 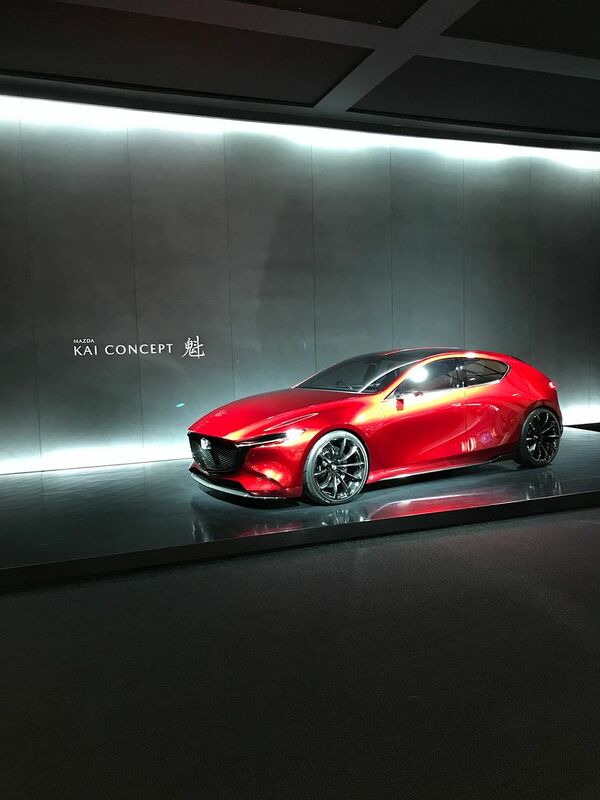 I went to a car event at Tokyo Big Sight in Makuhari Bay Area today. 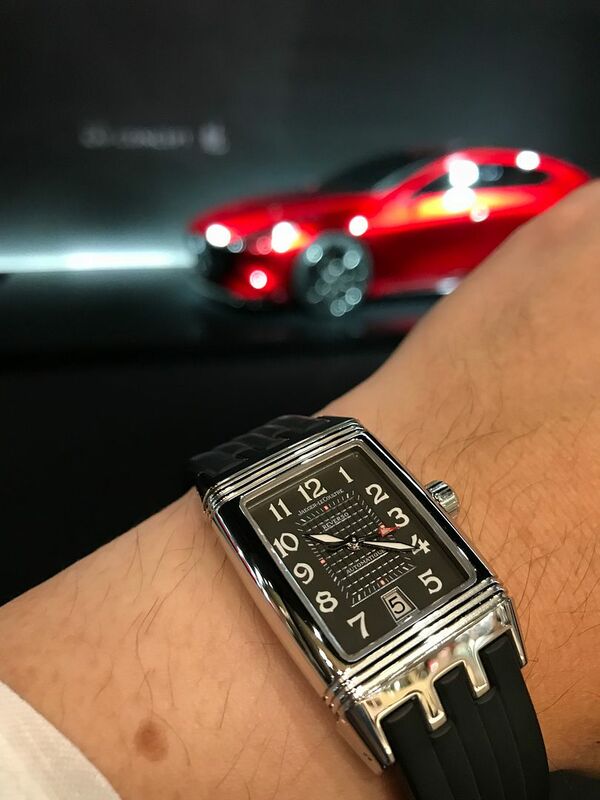 It was a very exciting event and I accompanied my Reverso Gran Sport Auto which had been back from overhaul recently. 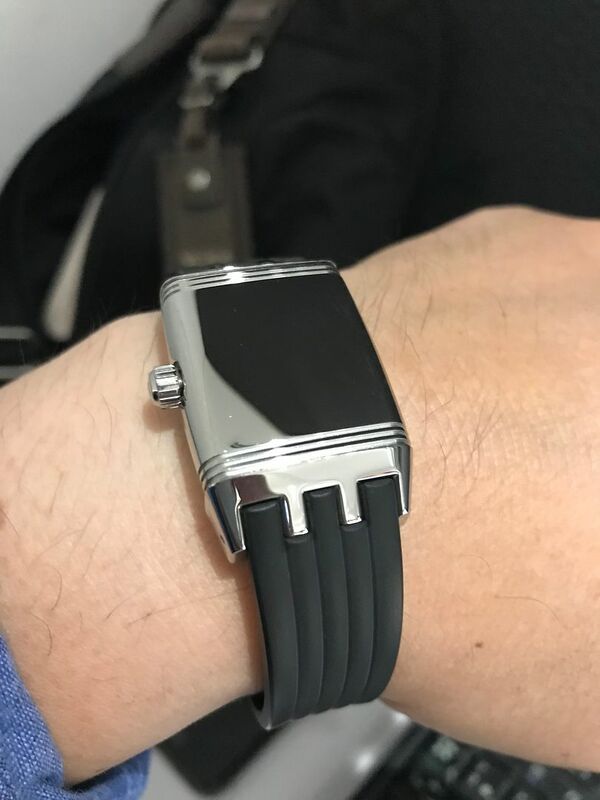 Rubber strap is very comfortable in this season especially in this hot and humid condition. Case back looks very new due to light polish. 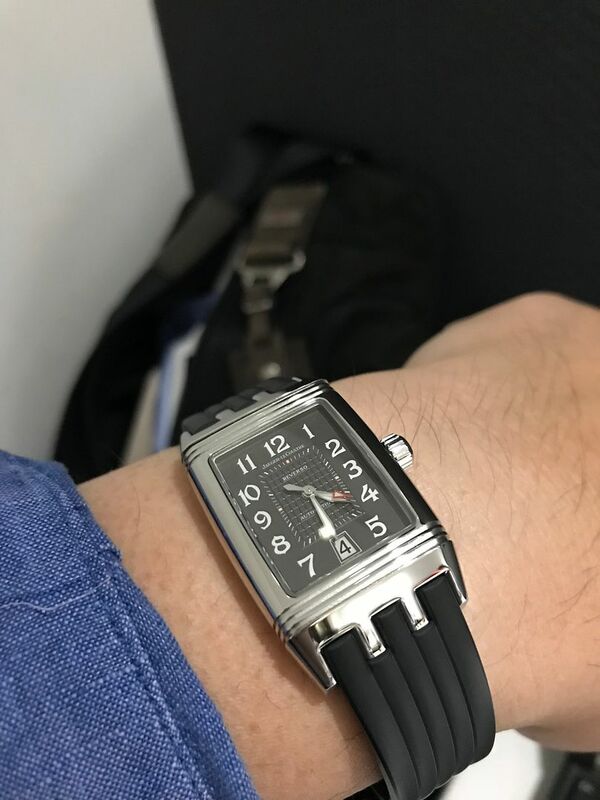 Art Deco Reverso had good matching with the classical event atmosphere. Next Topic: Should I trade my Grande Date for a 976?